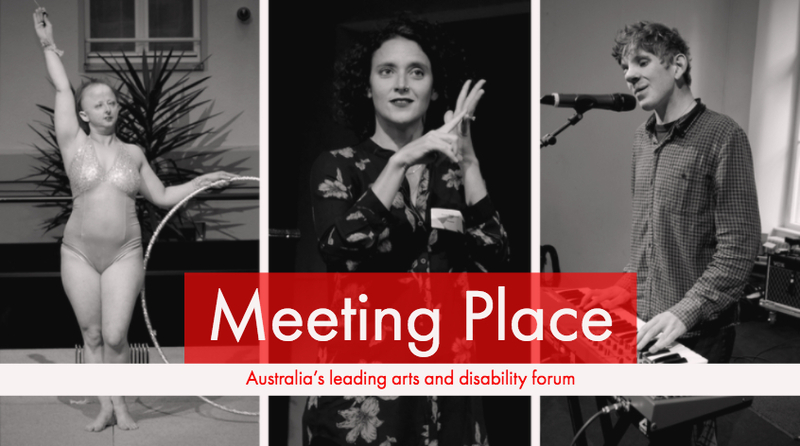 Established in 2012, Meeting Place brings together artists with disability and industry leaders in an accessible and supported space to discuss the latest in arts and disability. Today, the forum has grown to become an annual event attracting up to 200 delegates across the national and international arts and disability sector. Inform: Present the latest information and research; and facilitate discussion and debate around best practice standards for access to the arts. Empower: Develop skills and knowledge in access and inclusion, through practical skill building workshops. Influence: Showcase leading artists with disability and examples of best practice in access to the arts to influence policy and practice. Create: Create opportunities to connect to others, build new pathways, collaborations and alliances to create access to the Art. Importantly, the forum is a disability-led event that supports best practice in universal access. Its flexible and transportable nature enables the event to be brought to different locations every year, with previous locations including Melbourne, Hobart, Adelaide, Perth and Berlin, Germany. This approach not only broadens the opportunity for participation in the forum, but also shines a spotlight on local talent through a program that is locally driven, within a universal context. Meeting Place strives to demonstrate best practice in inclusion, by creating universal access for all. Meeting Place engages people across all art forms, disability type and level of engagement. Delegates include artists and arts workers; representatives from arts and disability organisations; arts and cultural leaders from local and national government bodies; and the Australia Council for the Arts. By bringing a diverse selection of the arts and disability sector together, Meeting Place creates an opportunity to showcase best practice in access standards and role model what good access looks and feels like. In the future, our aim is for all Meeting Place forums to be live streamed to reach out and enable people who are unable to travel to participate. View past videos of Meeting Place forums. Read about the first international Meeting Place, held in Berlin in 2017. Visit the official Meeting Place website.